The following is a guest post from Paul Denikin of DadKnowsDIY.com. The seasons are changing. The weather is bouncing all over the place, and so are the power bills. The fluctuations in temperature, both inside and out, can leave you wondering what you can do to reduce energy costs going into summer. Even better, what can be done without spending a lot of money? Here are five cheap and easy energy saving home updates you can do on your own. 1. Make draft stoppers for your doors. 2. Turn down the temperature on your hot water heater. According to Energy.gov most water heaters are factory-set to 140 degrees, but having it set to 120 gets the job done just as well. It takes no money and hardly any effort to change the setting. Turning your water heater’s temperature down to 120 degrees can save you up to $60 a year on energy costs, which averages out to about $5 a month. Talk about instant savings! 3. Reverse your ceiling fans in winter and summer. This is another free and nearly effortless energy saving trick that can save you loads of money. Running your fans blades counterclockwise in summer creates a downdraft that helps cool the air, while running them clockwise in winter will create an updraft that helps warm the air, meaning less work for your HVAC system. Check out this helpful tutorial to get your fans spinning in the right direction. 4. Change your light switches to dimmer switches. With a dimmer switch, you can control the amount of light your fixtures put out, which means you can control the amount of energy you’re using. Making the change from traditional light switches to dimmer switches only takes a couple hours, and can make your bulbs last up to 20 times longer and decrease your energy use by as much as 40% over time. 5. Seal air leaks around windows with caulking. Caulking around windows eliminates drafts and energy leaks, and also helps protect against water damage. You can check out tutorials to get quick and easy instructions on making an airtight seal around your windows. Bonus Tip: Change your air filters. Dirty air filters make your HVAC system work harder to keep your home comfortable, so changing them regularly can help keep your energy usage down. Sometimes, though, it’s easy to forget to change your air filters on time. A great solution to this problem is signing up for a subscription service who will mail you fresh filters when it’s time to change them. 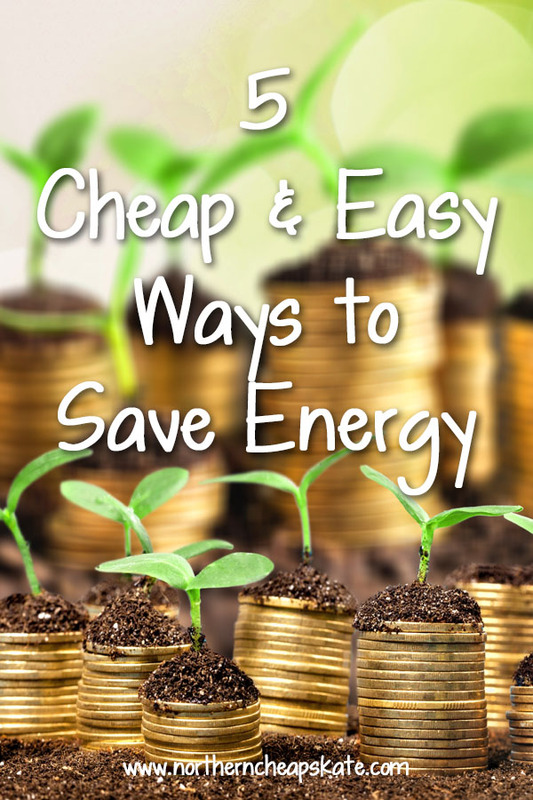 It can be easy to reduce your energy spending once you consider all the little factors. In the long run, it all pays off! About the author: Paul Denikin began learning the ins and outs of DIY home repair while making his home better fit and more accessible for his daughter, Maggie, who has special needs. Paul wants to continue to help special needs parents like himself, and offer them a source for ideas. And that’s why he created DadKnowsDIY.com, a website that offers home improvement project how-tos and other accessibility information. When Paul isn’t being handy around the house, he likes to take Maggie to the movies on the weekends.